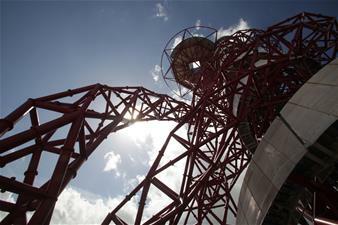 The ArcelorMittal Orbit is the UK`s tallest sculpture, standing at 114.5 metres tall and providing a breathtaking view of London up to 20 miles into the distance including Canary Wharf, O2, The Gherkin, The Shard, The Walkie Talkie, St Paul’s Cathedral, Alexandra Palace and out to Wembley Stadium. 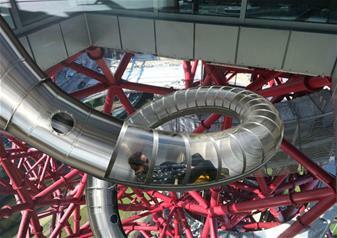 After enjoying the amazing views you will have a trilling alternative to the stairs or to the lift: The Slide. 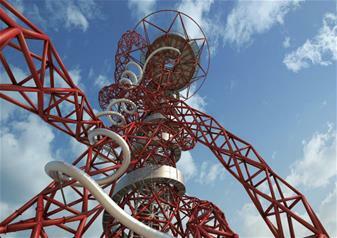 Measuring 178m, The Slide at the ArcelorMittal Orbit is the world’s tallest and longest tunnel slide. 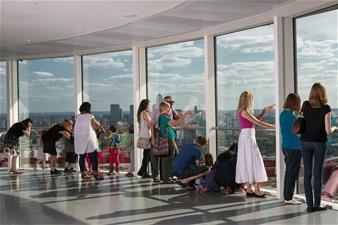 Visitors/you will travel down the UK’s tallest public artwork through light and dark sections as London’s dramatic skyscape passes by. 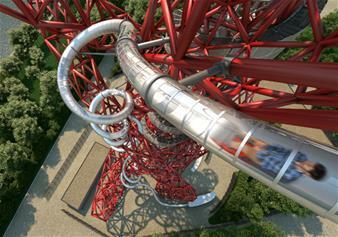 The Slide twists and turn 12 times, including a tight corkscrew section and ends with a 50 metre straight run to the ground. In the exhilarating 40-second trip, riders/you are expected to hit speeds of up to 15 miles per hour.